Samsung Electronics, a world leader in advanced semiconductor technology, today announced that its 16-gigabit (Gb) Graphics Double Data Rate 6 (GDDR6) memory is being used in NVIDIA’s new Turing architecture-based Quadro® RTX™ GPUs. 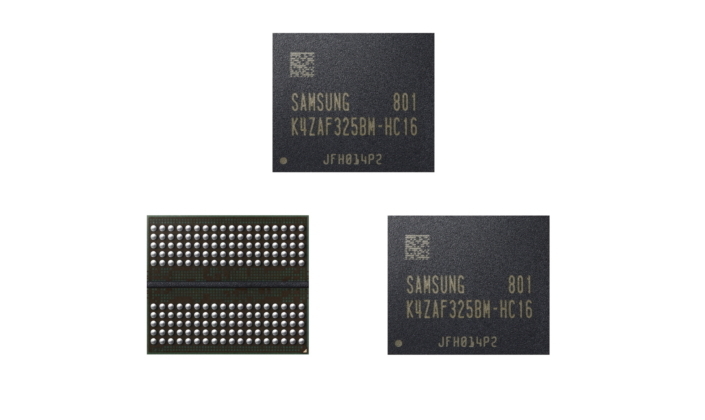 Thanks to Samsung’s industry-leading 16Gb GDDR6 memory, end users can expect improved performance and energy efficiency in the widest array of graphics-intensive applications, including computer-aided design (CAD), digital content creation (DCC) and scientific visualization applications. Samsung’s 16Gb GDDR6 can also be used in rapidly growing fields such as 8K Ultra HD video processing, virtual reality (VR), augmented reality (AR) and artificial intelligence (AI). “It’s a tremendous privilege to have been selected by NVIDIA to launch Samsung’s 16Gb GDDR6, and to have enjoyed the full confidence of their design team in making our key contribution to the NVIDIA Quadro RTX GPUs,” said Jim Elliott, Corporate Senior Vice President at Samsung Semiconductor. Unveiled today by NVIDIA founder and CEO Jensen Huang at the annual SIGGRAPH conference, the NVIDIA® Quadro RTX 8000, Quadro RTX 6000 and Quadro RTX 5000 GPUs bring hardware-accelerated ray tracing, AI, advanced shading and simulation to creative professionals. The new Quadro RTX GPUs will be available worldwide starting in October 2018.